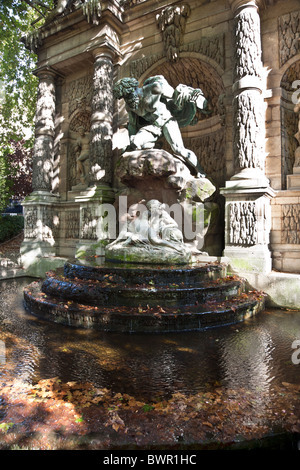 The Medici Fountain (fr La fontaine Médicis), a monumental fountain in the Jardin du Luxembourg in the 6th arrondissement in Paris. 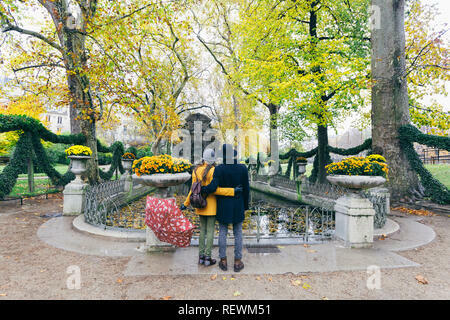 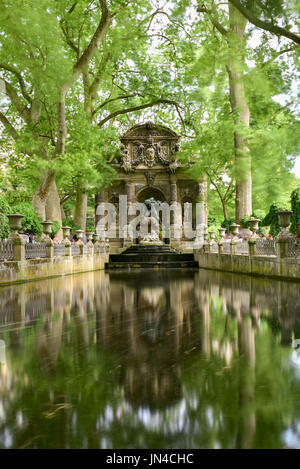 The Medici fountain , Luxembourg garden, Paris, France. 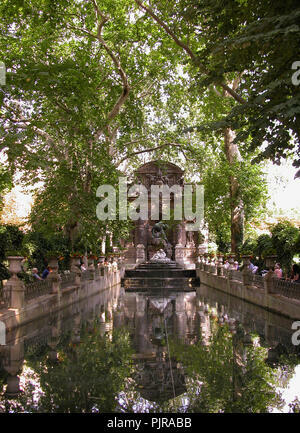 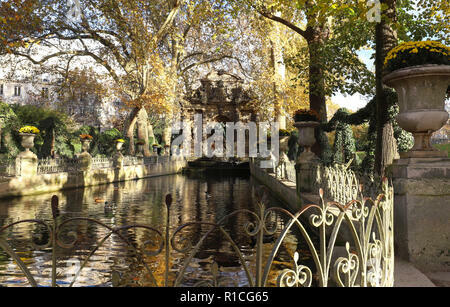 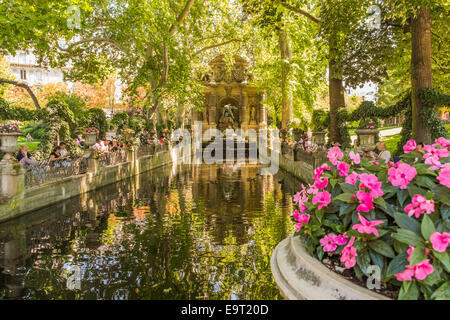 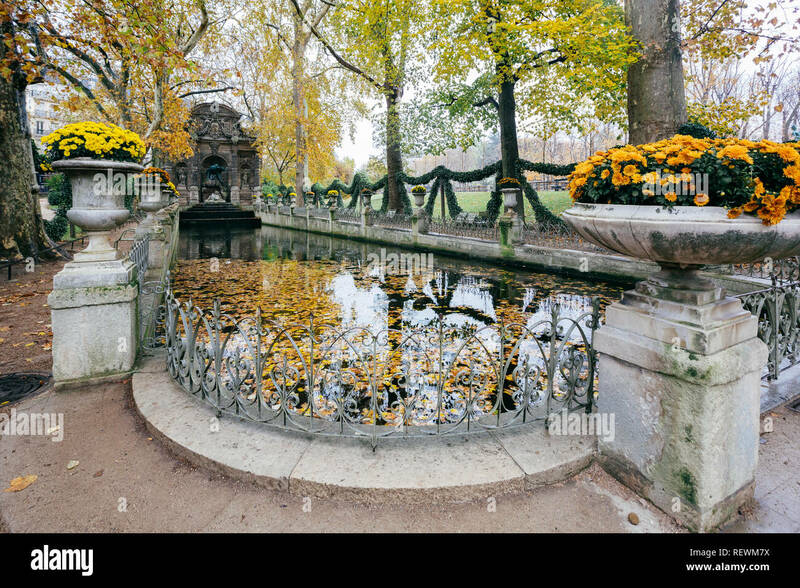 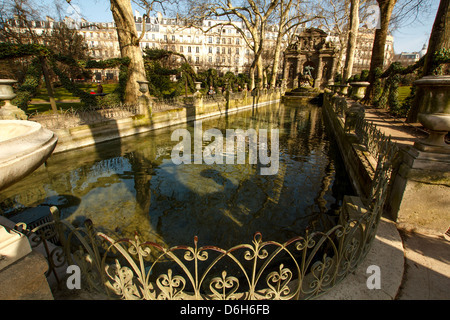 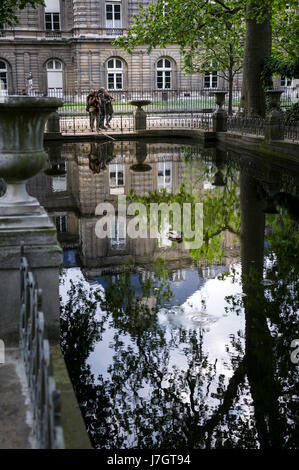 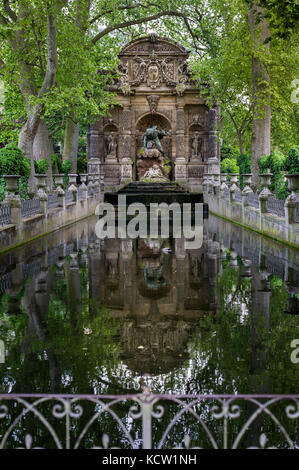 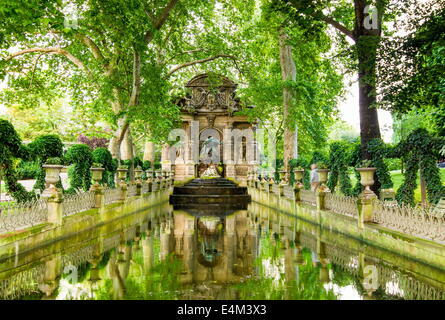 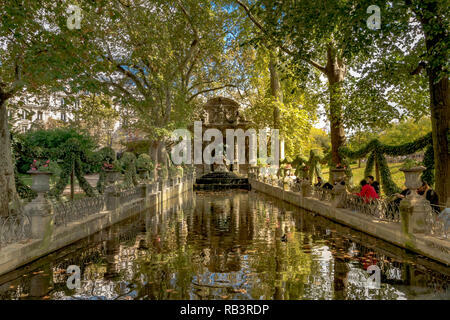 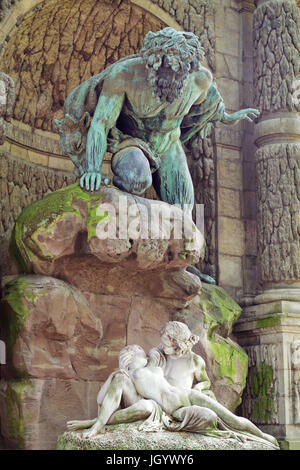 The Medici Fountain, monumental fountain in the Jardin du Luxembourg in the 6th arrondissement in Paris, France.